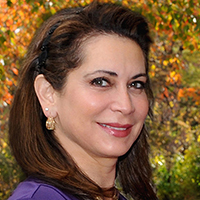 Dr. Diane Orlinsky, M.D., F.A.A.D. Dr. Orlinsky is a Fellow of the American Academy of Dermatology, and is a member of the American Society for Dermatologic Surgery, the Women’s Dermatologic Society, and the Alpha Omega Alpha Honor Society. She has served as the Alpha Omega Alpha Councilor for The Johns Hopkins University School of Medicine and Vice-Chair for the Maryland chapter of the Dermatology Foundation. Currently, she is Vice-President of the Board of the The Johns Hopkins Medical and Surgical Alumni Association. Your ticket for the: Dr. Diane Orlinsky, M.D., F.A.A.D.